Between Vancouver Harbour or Vancouver Airport and Victoria Harbour; passengers must check-in for all flights at least 20 minutes prior to scheduled departure times. When flight boarding commences, seats may be forfeited. Failure to check-in may result in a no-show penalty & any onward/return flights may be cancelled. All fares require instant purchase with credit card. Fares and figures are presented in Canadian Dollars unless otherwise noted. Fares shown include air transportation fees plus applicable taxes (GST), charges and fees. All seats may be booked up until boarding time and listed fares are inventory controlled based on availability. Unless otherwise stated, all fares may be cancelled, changed and refunded up to 5pm the day prior to departure. All same-day bookings are non-refundable. After 5pm, all next-day travel is non-refundable and only changeable for same-day travel; fare upgrade may be required. On the day of travel, changes must be made at least 1 hour prior to departure or the cancellation fee, equal to the value of one-way travel, will apply. Failure to check-in 20 minutes prior to departure will also result in the cancellation of any onward and/or return reservations, with any applicable cancellation fees applied. To conform to Transport Canada regulations, all passengers 18 years and older must present Government issued photo ID (Passport, Drivers License & Provincial ID Card) at check-in for all Helijet flights. 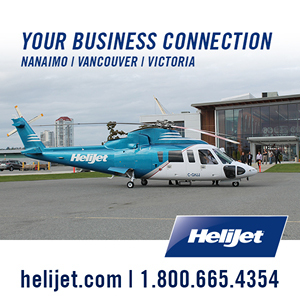 In order to make your check-in and flight experience as pleasant as possible, passengers with limited mobility and/or special needs are asked to advise a Helijet Reservations Agent by phone +1.800.665.4354 prior to travel. If you are travelling with a Special Assistance Animal please advise a Helijet Reservations Agent as an additional seat will be required. Service charges may apply for refund requests, changes to reservations (subject to individual fare rules) and for copies of receipts or tickets. Personal Baggage Allowances may vary depending on the route and aircraft type. We recommend confirming restrictions before packing for travel to ensure your check-in experience is as quick as possible. For scheduled flights operated by Sikorsky S-76 aircraft baggage limit is 2 pieces per person totalling 50 lbs / 22.6 kgs, no cabin baggage is allowed. Excess baggage will be accepted on a space available basis only. Sporting Equipment, including Skis, Snowboards, Boots, or Golf Clubs must be suitably contained and packed for air travel, Helijet does not provide any sort of packing materials required. Due to Transport Canada regulations some items may be restricted from travel. Please check before packing to ensure all belongings will travel with you on your journey. Some of the items not permitted to be carried in the cabin are; firearms, sharp cutting objects, sporting equipment, restraining devices and power tools. Visit Transport Canada’s “Prohibited Items List” for further information. As noted in Rule 10 of the Helijet Local Domestic Tariff, the liability for the loss of and/or damage to any personal property, including baggage or goods is limited to an amount equal to the value of such luggage or goods which shall not exceed $250(CAD) per passenger. For the comfort and well-being of you and your pet, Helijet does not accept the carriage or pets in the passenger cabin nor cargo hold. The hold is not pressurized or sound-proofed like the passenger cabin and is therefore very noisy and not climate controlled. Special Assistance Dogs are allowed with 24 hours prior notice and presentation of required documentation. Travellers with Special Assistance Dogs are requested to check-in for their flights 30 minutes prior to departure. All dogs must be harnessed and under the care of the traveller at all times.Certified, and professionally trained Service Dogs, assisting people with disabilities, must present BC Guide Dog and Service Dog Certificate. If you have a Special Assistance Animal please advise a Helijet Reservations Agent at +1.800.665.4354.